Tall clear blue bulbvase. 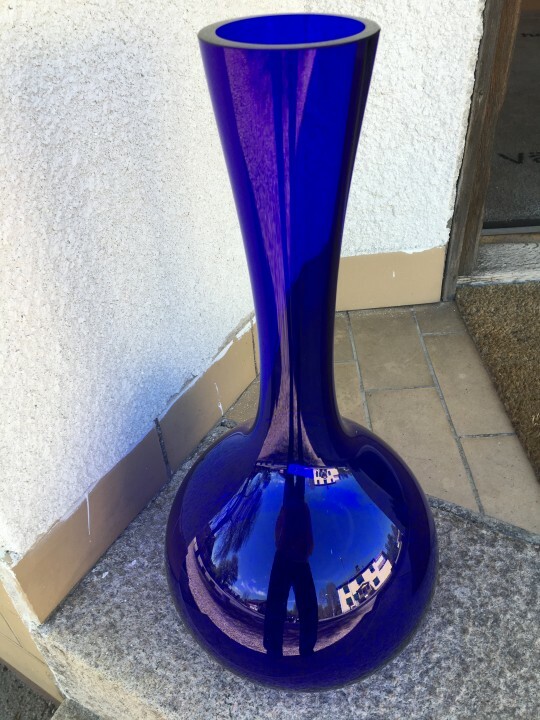 Made in one the several glassfactories in Sweden that made this type of vase at the time. Fantastic colour and almost perfect condition. 48 cm high and weight 2500 g.